The Thanks a Lot pen says - Thanks A lot. Thank you Very, Very Much. Thanks You So Much! and the pen measures 7" X 2" and provides an imprint area of 1 3/4" X 7/16". 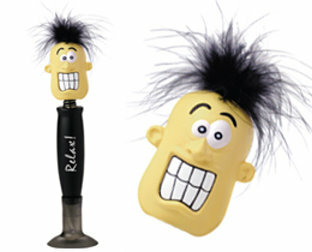 Just push the head on either pen down and the pen laughs. 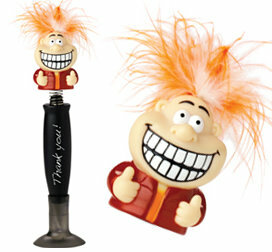 The talking pen on the right says -Woo Hoo! Do I feel Great. It's Going to Be a Stress Free Day! It also measures 7" X 2" and provides an imprint area of 1 3/4" X 7/16". Minimum imprintable order is 200 and minimum non-imprintable order is 25. 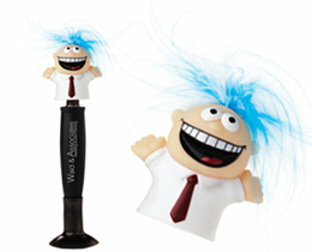 The Apreciation talking pen says - Wow! We Greatly Appreciate Your Efforts and Dedication. The Safety talking pen says - Remember Safety Is Our Number 1 Goal. So Smile, Be Safe And Enjoy Your Day!. Both of these talking pens are 7" X 2" and provide a custom imprintable area of 1 3/4" X 7/16". Minimum order with a custom imprint is 200 and minimum order without an imprint is 25. The Relax pen says - Relax! Calm Down Now. Don't Stress. Take It Easy. 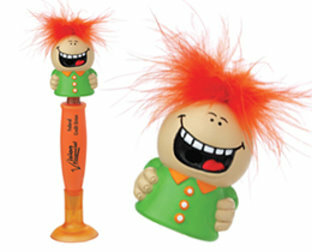 The Hysterical Laugh pen has a series of hysterical laughing. Both talking pens measure 7" X 2" and provide an imprint area of 1 3/4" X 7/16". 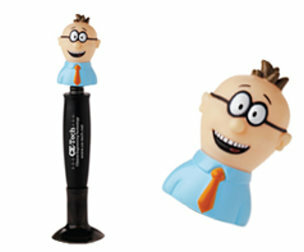 Minimum custom imprintable quantity is 200 and minimum order for non-imprinted talking pens is 25. 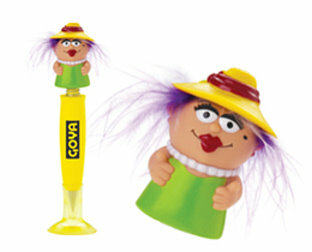 The Spanish Speaking pen says - Hey ! No Te Olvides Ser Feliz, Sonreir. Y Que Tenga Un Buen Dia! 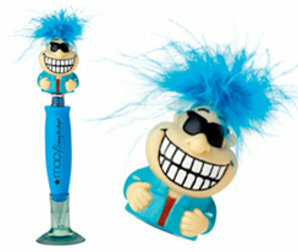 and the Smile pen says - Hey! Don't Forget To Smile, Laugh and Have A great Day! Woo-Hoo! 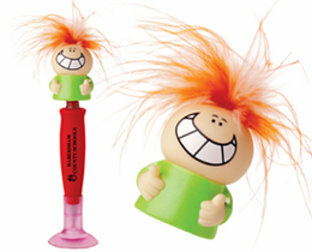 Both pens measure 7" X 2" and provide an imprintable area of 1 3/4" X 7/16". Minimum order for custom imprintable is 200 and for non-imprinted it is 25.